Sometimes you just gotta take it back to what works!!! We're more than thankful for everyone who tunes in to the show. We haven't been uploading like usual but we back to the GRIND!!!! There would be no us without y'all. You yeah you reading this. Thanks for tuning in. We appreciate it!!! We just wanted to let you know. Now carry on lol!!! 1. Why we been away and what we been up to videos,getting ready to go strong to again, interviews,new merch etc. 2. New Years ... See More Resolutions- How soon is too soon to give up on your New Years Resolutions? 3. Do you think we protect celebrities from crimes they do because of our connection we have with them? 4. Can you re-respect someone you lost respect for? 5. Caller Question-Did you watch WWF growing up? (253)-234-7149 Just had to put that at the beginning. So you could call in with questions, comments, or be a guest on an episode. Don't forget to subscribe to us however you listen to us also. Don't forget to call in 253-234-7149!!!!!! Thanks for listening. We appreciate more than you know. 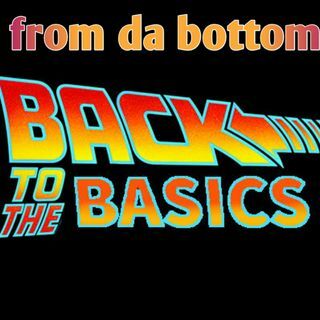 From Da Bottom Podcast here for the long run!!! !